With almost 80 of our swimmers competing across almost 600 individual events, NLSC will again provide the largest group of entrants at the 2019 Nottinghamshire ASA County Championships starting on Saturday 19 January at Harvey Hadden Leisure Centre. 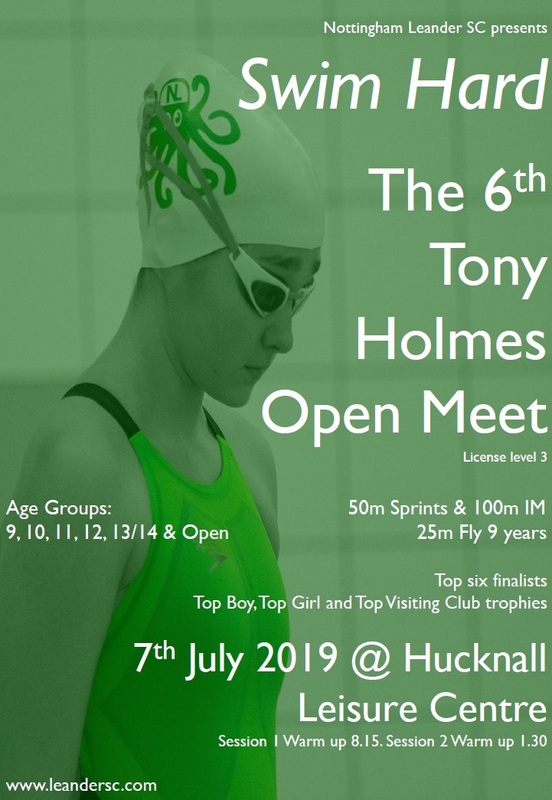 NLSC’s Director of Swimming, Stephanie Breakspear-Handley, said “To have such a large number of swimmers wearing and representing the Green Octopus is just amazing. “It’s the result of all the hard work, effort and commitment shown by all of our home-grown and Nova-based talent, the coaches, our volunteers and parents over the past years. Everybody connected with NLSC should take great pride in celebrating this achievement and it compliments what we’re achieving across our Masters and Water Polo sections too. “Seeing how everyone has developed as a swimmer and as a person over the past year, regardless if they’ve qualified for the counties or not, has been a real pleasure to be a part of. “For some, Counties will mark either the pinnacle or a stepping stone of their progress; I can’t wait to see how everybody performs by giving their best and by being decked out poolside in their club tops and swimming hats (compulsory!). It’s the perfect opportunity to show everybody who we are as a club en masse. “However they swim and whatever the results just knowing that they will be supported and cheered on by huge group of supporters at each and every session makes it all worthwhile. Happy swimmers make fast swimmers and I hope NLSC has the happiest swimmers there once again. Notts ASA’s website has the full programme details for the 2019 County Championships.